1975- Rochester Colonial opens a new insulated glass manufacturing facility across Lyell Avenue. 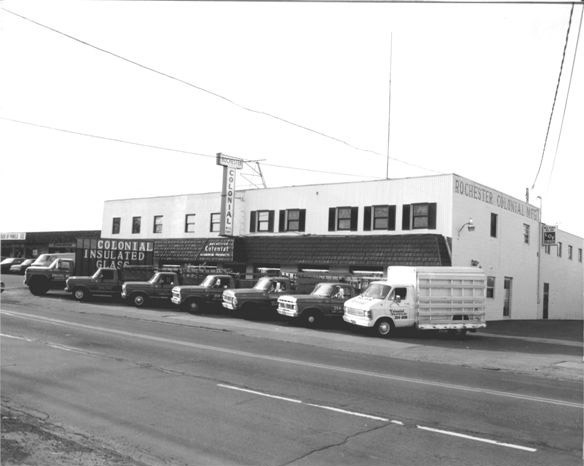 1983-1985 Rochester Colonial purchases and renovates the 450,000 square foot Yawman & Erbe facility on Jay Street, immediately adjacent to Interstate 490. After two years of renovation the facility is christened “Water Tower Park” after the imposing water tower that was located on the grounds (since removed). 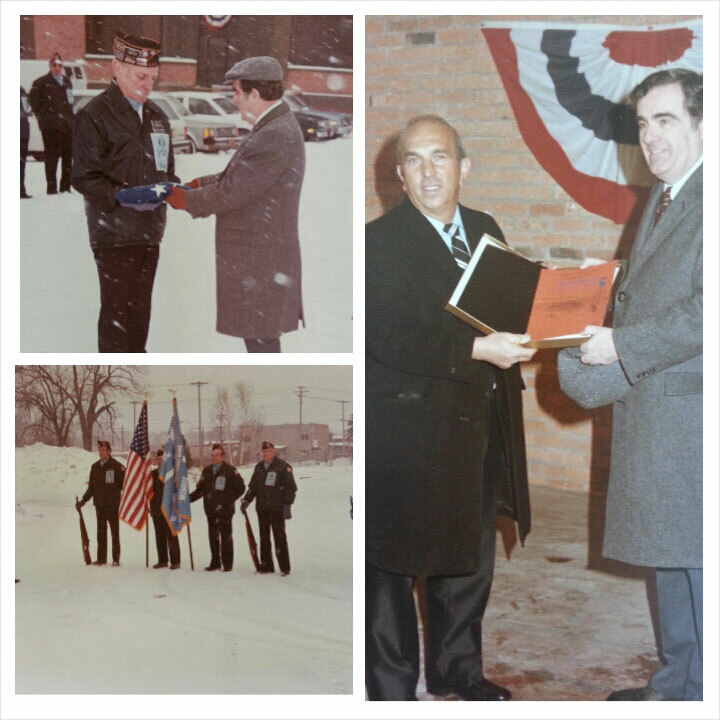 "Rochester Mayor Thomas Ryan honors Sam Gionta and Rochester Colonial for the multi-year renovation of the abandoned Yawman & Erbe plant on Jay Street, rechristened "Water Tower Park." 1984- Rochester Colonial enters the residential new construction market, selling wood windows to area homebuilders. The company also begins to manufacture vinyl replacement windows. 1987- Rochester Colonial begins to manufacture custom-shaped wood windows. 1989- A second showroom opens on Jefferson Road. 1990-1996- Multiple additions are made to warehouse and manufacturing facilities. 1998- Lyell Avenue showroom undergoes complete renovation, including new façade. 2004- The Henrietta store moves further east on Jefferson Road to a spectacular new showroom in Frontier Plaza. 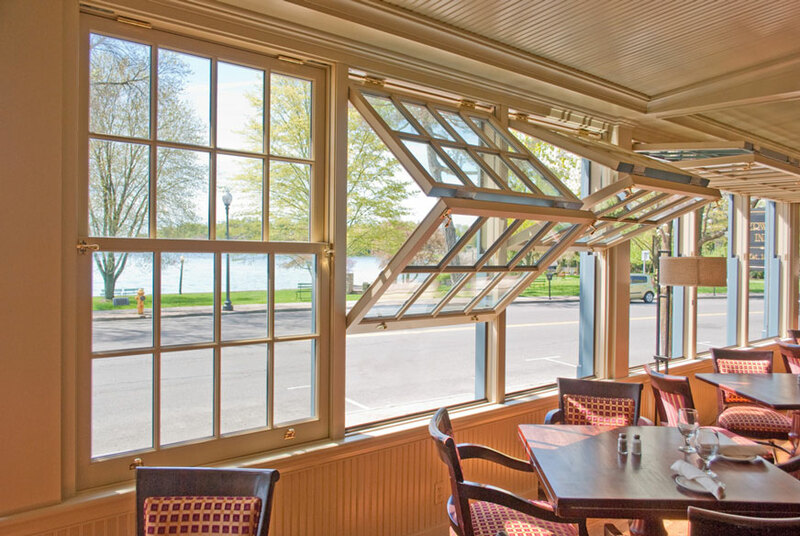 2013- Rochester Colonial invents a new type of window that folds in and up (patent pending), sold under the trade name “FoldUp”™. Today Rochester Colonial Mfg. Corp. employs over 100 men and women working in nearly 300,000 square feet of showroom, warehouse, manufacturing and office space. The company fleet numbers over 50 vehicles.